Well.... I bought into another modern deck: Arclight Phoenix. Due to buying into this deck I have essentially also bought into having a standard deck as well so I guess I am also going to have to figure out current standard lol. I'm just waiting to see what goodies I get for Gruul, and maybe a general for an Orzhov deck. I hope for a you ban. As someone who plays an absolute ton of blue/black decks, I can appreciate the stompy beatdown angle every once in a while. The Unidentified Fantastic Flying Girl. The Gitrog Monster: Oppressive Value. I make dolls as a hobby. 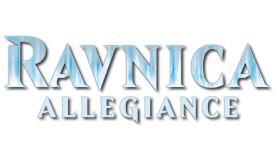 Well, Azorius is technically the only guild actually "aligned" with one of my decks since I run Isperia 2.0 (Dimir is about as far removed from Grimgrin as one could imagine, although Surveil was great filtering regardless). Part of me is tempted to just replace Isperia and go along with Lavinia Lockdown so I could play all my alternate win-cons in peace, but something tells me it would get stale rather quickly if it succeeds, especially if Lavinia actually earns a "reputation" like Narset down the route (at least Lavinia is an easier fit in the 99 than Narset would ever be though). Orzhov will feed Karador and Alesha as usual (especially Alesha if Orzhov is headed down the weenie route), as will Rakdos paritally for Alesha. 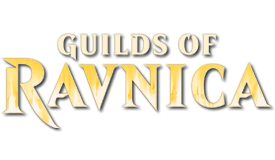 Just like GoR, I'll probably cherry-pick what I need, my suite is color-balanced, but not entirely in the same direction as the Guilds, so usually the cards hit pretty hard or they outright miss, which makes choosing cards a lot easier though. So yesterday while I was at the liquor store in saw an Iron Maiden beer called The Trooper. Anyone tried it? Is it any good? 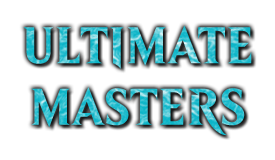 I bought a box of ultimate masters from my LGS today. I didn't plan to but I wen't in to find a game for my wife for christmas (yea I buy presents last second). I felt bad for him since its a small shop and he had lots of product he couldn't move for it. I think my box probably just cleared $400 in value and cost me $300. Topper was Emrakul. Beyond that the highlight was Foil Back to Basics but mostly I just cleared a lot of $10 - $20 cards which lucked out for me as my next highest open was Dark Depths. I did clear 4 mythics non topper included though which seems like a higher count that I normally get. I guess I will sit on this stuff for a while then see if I can trade / sell off most of the stuff since honestly..... I didn't need any of it but I didn't want my LGS to get super burned sitting on the product. This last week shortly after I stepped down. There was only a gap of something like 3-5 days between me processing out and his return. I happened to mention that I was stepping down in a slack lounge he was in and he put in his application. I had nothing to do with it and last time they came to me and asked me to come back lol. We've set up automated alerts so that as soon as one steps down, the other is messaged to put in an application. We're hoping to circumvent that manual process and have the system put in the application on their behalf, but the technology isn't there yet. When the forum becomes self-aware we will all be out of jobs here. And I'll probably be rightfully banned. It's like their latest albums. Not going to surprise you but it tastes like beer. MTG Arena is so addictive.Gonna stop until I reach diamond on constructed. Arena has forced me to realize that I'm just bad at standard. I need them to throw Brawl in there so that I can go back to pretending I know what I'm doing with deck building. It would be sweet if they added brawl but the complexity of adding a multiplayer format like that seems really intense. Its possible if they ever wanted to change brawl to 1v1 or support it like that in arena I think its maybe something they could implement but the potential of 3+ players in arena seems like a LOT of a step up to accomplish. If they ever did though I suppose they could potentially implement 2hg and commander as well but..... I kind of suspect that they wont do this because I don't know that its really something that would pay for itself to do that. I thought they were only going to do real formats. Being bad at standard doesn't mean you don't understand deckbuilding. Being good at standard means requires complete knowledge of the specific deck you are playing and how to optimally play it, knowing the metagame so you can recognize what an opponent is doing and know how best to counter/respond to it and being really good at sideboarding. It's a very specific set of skills, and it does not carry over very much into formats like EDH, draft, sealed or cube. Personally, I find playing standard about as interesting as watching plants grow. This is one reason why I don't care at all about Arena. I agree that there are very different skill sets and knowledge bases required for different formats. Figuring this out is the fast track for the cutthroat spikes and the filthy casuals to understand each other. There's just a divide in mentalities between what I think of as Magic players and what I think of as Format players. I am a Magic player, I enjoy Magic, I think I'm pretty good at it. I think I stand a solid chance against any other player in any arbitrary format. But I can't expect to win reliably against a dedicated Standard player in Standard, because I'm not a Standard player, or Legacy, or Modern, or even EDH. There's nothing wrong with that on either side. 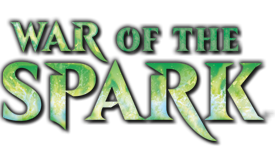 There are plenty of players like myself who want Magic without a metagame, and there are plenty of players who get the most joy out of the metagame, and if they interact, they just have to be ok with the fact that someone is going to have an advantage even though nobody did anything wrong. That's ok, and being an underdog can be fun. The only time I really feel the need to judge the Format players is spoiler seasons. People who hyper-focus on specific formats just have a really poor track record with card evaluation, even within their preferred format. And especially with the Commander precons. 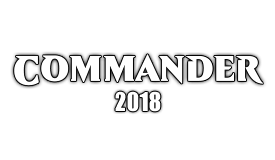 Commander players are terrible at understanding the power and value of those decks and the cards they print for us. Anyone who's played a deck without dumping $500 on singles first recognizes they make really strong cards, and anyone who's played a different format's precon recognizes they're the best value of any product Wizards has ever sold, but every release has naysayers complaining it isn't 99 format staples and the broken commander they made up at 3 AM with their buddies. Well I bought into Arena myself yesterday. 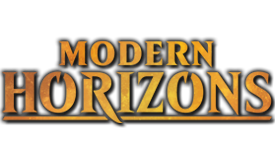 I was kind of against it but given there will be a new non rotating format next rotation that will be arena playable (what everyone has been saying at least) I want the ability to be able to play it more frequently than the sparse FNM that I have been getting of late. I bought wayyyyyyy too many packs with real money and built GW angels. It felt like every freaking card was a mythic so I burned up a LOT of my starting investment in the game to spin that deck up. On the flip side, I have a sweet deck now and I went 5/0 on my first games lol. Granted, I am still bronze so I am sure that will go away soon enough. I thought Arena was free? It is, having cards / good decks is not. Its the difference between showing up at a LGS and them handing you one of those starter decks they give to noobs that has like two trash rares and someone playing a constructed deck. Starting up arena they give you some free stuff but none of it resembles constructed magic. It's more that I'm poor at evaluating cards in a limited pool format as well as constructing around cards from sets I have previously not paid attention to (other than the like 1% of cards I wanted for EDH). Threat evaluation, tempo, and strategies are completely foreign to me, so I am bad at standard. As far as deck building goes, it's a combination of not knowing cards (or how to deal with 4 ofs) and the fact that I'm actually just bad in general, but EDH is varied enough that I can pretend I'm good.